You can avoid many problems with good preparations before the season starts. Here are some tips on how to prepare. First you should check your supply of seeds and discard the old ones (find more information on seed germination in the chapter on seeds). Consider also how satisfied you were with individual sorts. Find your garden sketches from the previous years to take them into account for crop rotation. Make a sketch of your garden on a sheet of paper or on your computer. Mark the cardinal directions, sunny and shadowy positions, and frost and hoarfrost areas. First include perennials and the crops that can spend the winter outside in the sketch, then (as the crop rotation principles tell us) the position of the main crops, and lastly the subsequent crops. You can use the garden planner on the tomappo.com website. Make a time plan as well so your garden beds will not stay empty. You can include crops like lettuce and spinach in between the slowly growing crops like cabbage and broccoli. 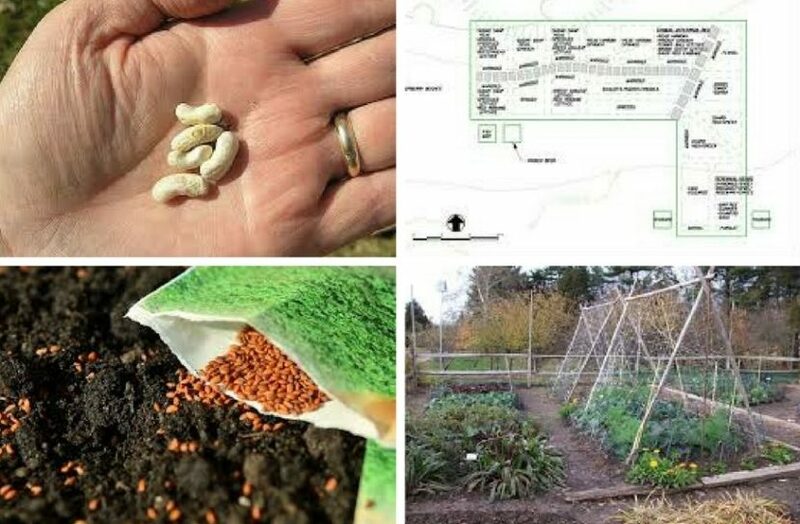 By considering the supplies and the garden sketch you can prepare the list of seeds (which and how many) to buy. Don’t forget about the seeds for useful flowers! Make a list of your findings during the year, to consider in your next year’s planning. You can save your notes and photos in the Tomappo app.